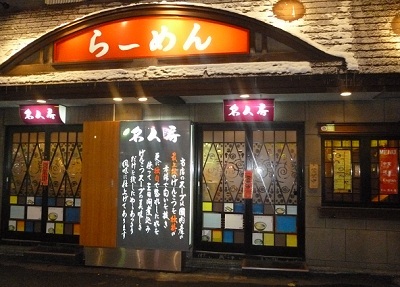 Meijinbou is an excellent ramen restaurant located in the heart of Susukino, the entertainment district. This place is famous for its kakuni ramen. Kakuni is pork belly very slowly roasted(about four hours) so it is really juicy and succulent and delicious. I love it. Not that many ramen restauranst in Sapporo Japan serve Kakuni ramen so I was so happy to go to Meijinbou. It came highly recommended by a friend of mine and I highly recommend it too. If you like pork, you'll love this place. Another ramen shop that serves Kakuni ramen is Sakurajima but its quite far out of town and you kind of need a car to get there. Meijinbou is really close to the main Susukino intersection, on the ground floor so is really easy to find. The prices are also very reasonable. The kakuni ramen costs 1000 yen and worth every yen. It is big so make sure you are hungry. They give you the usual slice of char sui (pork) and then on top of that they give you five thick slices of Kakuni. They are cooked to perfection and just melt in the mouth. I struggled to finish it but I hate to see good food go to waste so I battled on till it was all gone. My friend couldn't finish the kakuni so I ate that too! 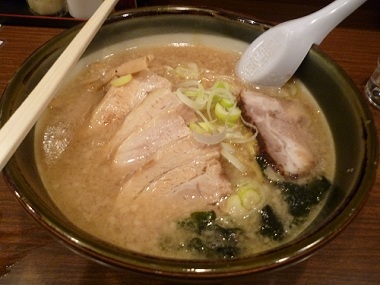 A regular bowl of miso, soya sauce, or salty ramen costs 700 yen. 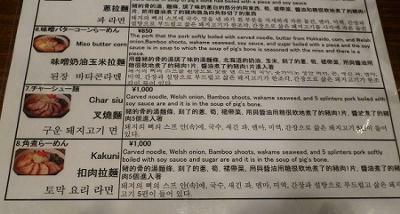 They also have an English menu with Chinese and Korean! 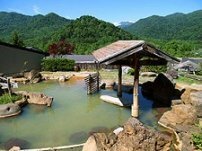 Address: South 6, West 3, Susukino, Sapporo Japan. On the groud floor, it's about a 5 minute walk from Susukino subway station. Thanks for the recommendation. Went here after a night out. Awesome ramen. My friends and I all went for the kakuni ramen and some of us couldn`t finish it. ha! exactly where on the map? google maps could not find it from the address given.